Justification: To recognize two male and two female Montgomery County high school students for running, academic, school activities, and community service contributions. A resident of Montgomery County, Maryland. Applicants must be high school Seniors (12th grade). Applicants must be planning to attend an institution of higher learning within the next 24 months. Applicants are not required to run on a collegiate team. Applicants are encouraged to volunteer for MCRRC events. Nomination form must be completed by applicant. School activities and career goals. Personal essay (How running has impacted the applicant’s life). One or two letters of recommendation from applicant’s teacher, coach, guidance counselor, school administrator, or another individual (not a relative) should be scanned and emailed to: angie.bosse213@gmail.com. MCRRC Awards Committee members may not vote for applicants who are related through family, coaching, or teaching relationships. Please use the on-line form to Nominate Outstanding High School Runner. It is recommended that you have all of the information regarding the four award criteria listed above before you log in so that you can complete the form in one sitting. Nomination forms must be submitted online on or before December 10th. The MCRRC Awards Committee will vote at a meeting in January. In the event of a tie vote, the Awards Committee chairperson will determine the winner. The committee will elect a vice-chair who can perform the duties of the chairperson if the chairperson is in conflict of interest. 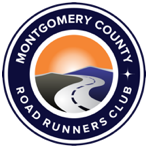 Two male and two female Montgomery Country high school runners will be annually awarded a plaque or trophy and a $2,000 scholarship at an MCRRC Awards Ceremony.